the city and circular wall, which once surrounded "Oberstadt" and "Halde"
the Christmas lights, which illuminate part of the city during Advent season instead of the usual street lights. You can also listen to many fascinating insights about Baden during one of our city tours. Set out on a route through the narrow streets of the old town. 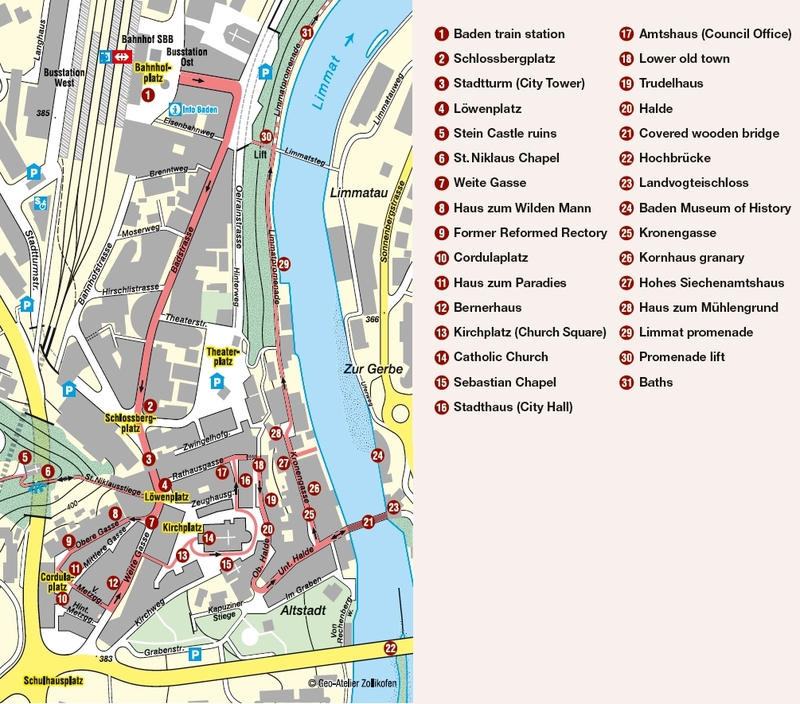 You will find a suggested city walk and more information about the highlights of Baden in the flyer.